While rummaging through my photo files, I came across a close up of the toes on the cast. This photo has been added to the gallery on the footprint's page in the Footprint Database. In case you couldn't make the Ohio Bigfoot Conference back in April, here's a video of the casting seminar I taught at Sunday's picnic lunch. Presented by The Amerikans, this short documentary tells about some mysteries observed by a Native American drum maker. Shape-shifting, UFO's, and bigfoot are briefly discussed by a witness in a serious and respectful manner. I hope you enjoy. The Orang Pendek Project has been an amazing project to work on, but it has not been without its setbacks and frustrations. Some of these frustrations arise from incomplete documentation or lost data. After all, the project spans three continents and two languages. That's not even to mention the cultural differences that sometimes cause confusion or other complications. This cast is a great example of these complications. There was a track investigation on July 14, 2013, and several photographs of a footprint in the ground were recorded that day. The cast seen above came with the bundle of data sent by my Sumatran contact that serves as a middle-man. However, the cast cannot be from the footprint pictured in the ground; it's the wrong foot! We apparently have some missing data somewhere, but I will still record this footprint as from the date above. Perhaps it is another footprint from the same line of prints? Perhaps it's from another date altogether? I do not know, and am unlikely to ever know. I do know that as the project proceeds, the documentation is getting better and better. Hopefully this sort of error will be avoided in the future. 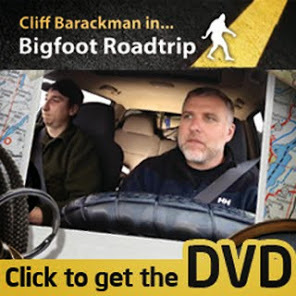 Bigfoots and Butterflies - This Week! Monday's lecture will be at the Kelso Theater (214 S. Pacific, Kelso, WA), and Tuesday's will be at the Loowit Brewing Company (507 Columbia St., Vancouver, WA). Both lectures start at 6:30. I hope to see you there! 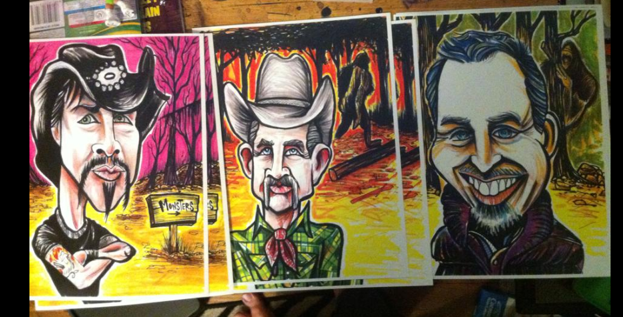 The Ohio Bigfoot Conference brought together bigfooters, vendors, and artists. 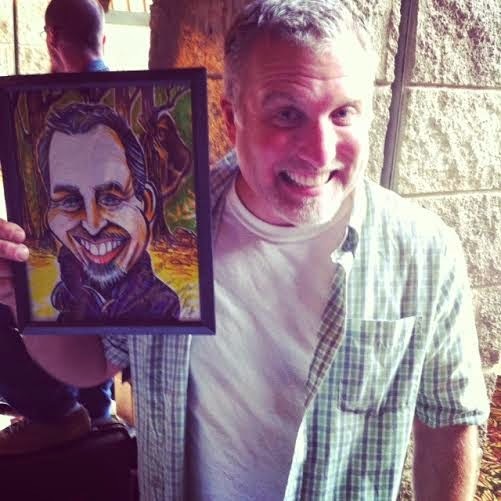 One artist, Eric Fargiorgio, was kind enough to do a caricature of me as a gift. Thank you, Eric. Can you name the other two bigfooters here? For more information on Eric's art, click this link.